Before You Plead Guilty to That Speeding Ticket, You Should Know This . . . Many drivers who are issued a speeding ticket in New York are under the misguided impression that they can simply plead guilty and take a defensive driving course to off set their points and insurance increases. Before you take such drastic action, it is important that you contact our New York traffic ticket defense firm to explore your options in greater detail. It is true that a defensive driving course in New York can help you save up to 4 points on your license and reduce your insurance by up to 10%. However, that’s not the end of the story . . . It is important to note, that a defensive driving course will only reduce the points on your driving record. It will not eliminate the conviction. In other words, your conviction will still appear on your driving record and it will be visible to your insurance company. As such, they may take that information and adjust your rates accordingly. For illustrative purposes, if Johnny Driver receives a speeding ticket for driving 74/55 he will be facing a 4 point violation. If he were to plead guilty and then take a defensive driving course, he will have a 4 point speeding conviction reported on his motor vehicle record. The defensive driving course will only eliminate the points. Depending on a driver’s speed, a speeding ticket can range from 3 points to 11 points. As such, taking a defensive driving course may not completely absolve a driver of all the points assessed against them. So, a driver that is accused of driving 21 mph over the speed limit, which is a 6 point violation, will still have 2 points levied against their license even with a defensive driving course. In New York, the Department of Motor Vehicles will levy a minimum fine of $300.00 for anyone convicted of 6 points within an 18 month period. The defensive driving course will not eliminate a driver from paying this “drivers responsibility assessment” (DRA). This fee does not discriminate among drivers from other states. 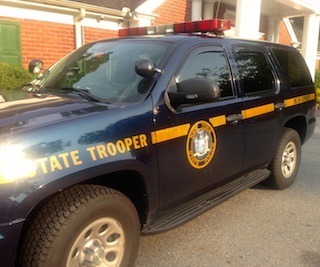 A driver from New Jersey or Connecticut with a 6 point conviction in New York will receive a DRA penalty notice. The DRA fee increases $75.00 for each additional point assessed. A driver's failure to pay the DRA will result in their privilege to drive being suspended. According to a recent article on insurance.com, a nation wide study of speeding ticket convictions resulted in an average increase of approximately 13%. Some drivers did not receive an increase while others received a significant increase thereby coming to an average of around 13%. Given this information, while a defensive driving course may save a driver up to 10%, it may not off set an insurance increase if your conviction will result in a significant insurance increase. In summary, taking a defensive driving course may not be as black and white as it may initially appear. So, before you decide to simply mail in your guilty plea, think long and hard about the long-term consequences a conviction may have against you. About Our Firm: At Villanueva & Sanchala, PLLC we excel at getting New York traffic tickets dismissed or reduced. We have over 25 years of legal experience and have gained a reputation among our peers as being superb lawyers. Our team of traffic and criminal defense lawyers is lead by Joseph P. Villanueva. He is a former prosecutor. Having a former prosecutor on your side can help in analyzing critical issues in your case. This can make the difference in you keep your license or having your license suspended or revoked. Call us now 800-89-9645.